MELBOURNE co-captain Nathan Jones has offered an honest assessment of the form of off-season recruit Jake Lever, saying the defender's tenure at the club had got off to a "rocky start". The former Crow, acquired in last year's NAB AFL Trade Period, has copped widespread criticism for his performance so far this season, the Demons backman averaging 14.5 disposals from his first four matches. 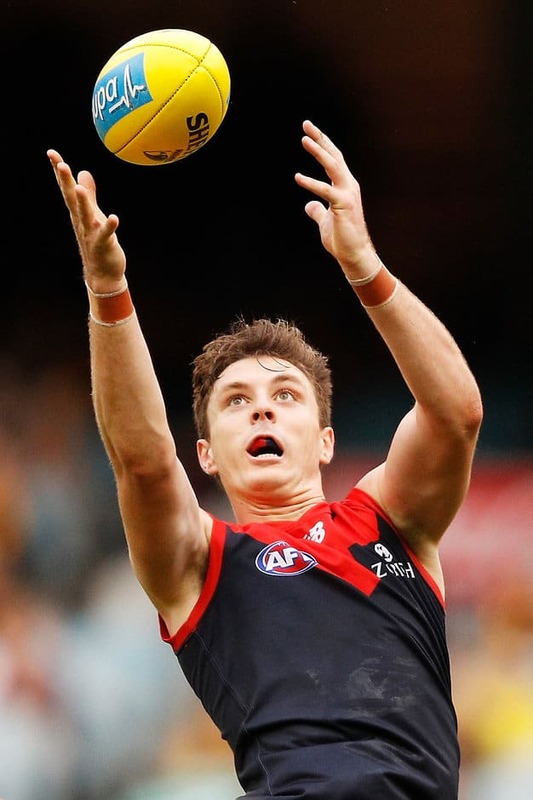 The Demons gave up two first-round draft picks (one future pick) for Lever, signing him to a lucrative four-year deal worth up to $800,000 per season. Jones backed Lever to adjust to his new surroundings and become the backline general Melbourne had hoped for. "I think he'd (Lever) admit that he's had a rocky start," Jones said on Wednesday. "He's probably been exposed in a couple of areas, and he's been tested and challenged coming into a new defensive group and system and (finding) where he fits in that. "He had 13 intercept possessions (against the Hawks) so he's not going terribly. But I think he'd be the first to admit that he wants to be playing better. "Internally we like what he's doing, and we understand that he is finding his feet and we'll support him through that." Jones said he expects Lever to eventually become "the leader" of Melbourne's backline. "Judge him in another five, six or seven weeks when he starts to become the general down there and really understands how we work as a group," he said. Jones has often been wheeled out in the past to speak to media about another horror loss, but this time around – given the level of expectation and the talent on Melbourne's list – the co-skipper said he was starting to lose patience. Melbourne will review Sunday's nightmare performance on Wednesday afternoon. "For me the disappointment around the weekend comes around the question marks of effort and execution of fundamentals," Jones said. "Credit to the Hawks, but some of the statistics around our pressure in our forward 50 and in our defence, being able to stop their transition, particularly in the conditions, they're the things that frustrate me most and they're the things that would frustrate our supporters. "Why that happens I don't 100 per cent know but that's something we'll address." After performing strongly in a run-with-role on Hawks gun midfielder Tom Mitchell, the question was asked of Jones whether he would take up a similar shut down job on either Dustin Martin or Trent Cotchin in the clash against the Tigers on Anzac Day Eve. "I'd be excited about either challenge, really," Jones said.